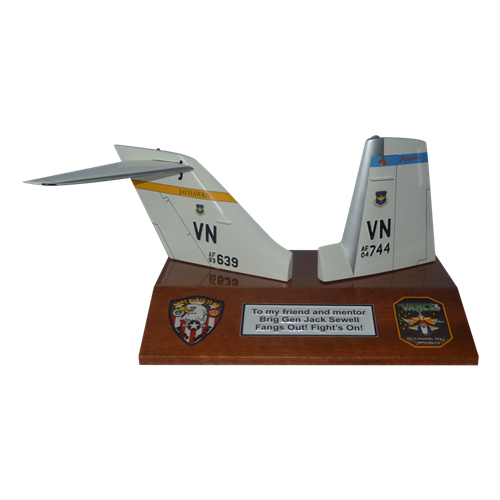 Your 6" tall one-sided 2 tail flashes on a wooden base will be an exact replication of the actual aircraft tail. 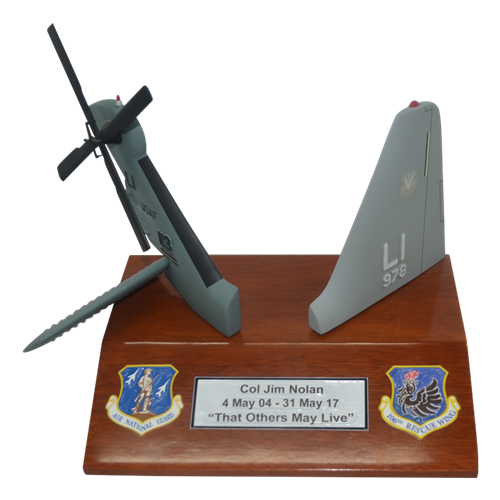 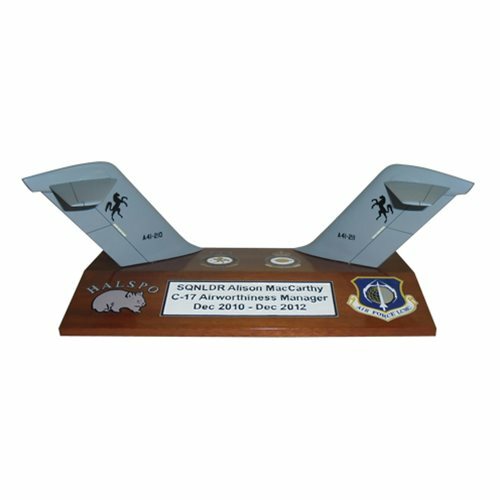 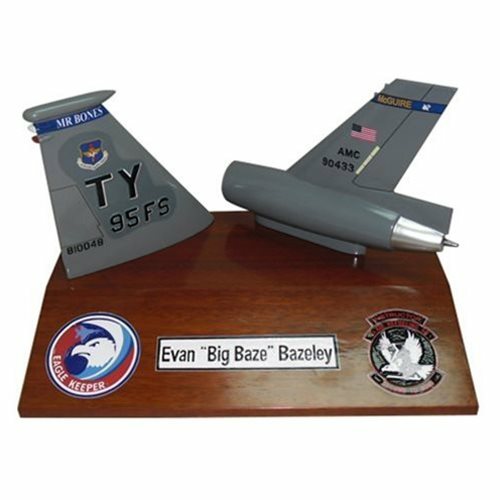 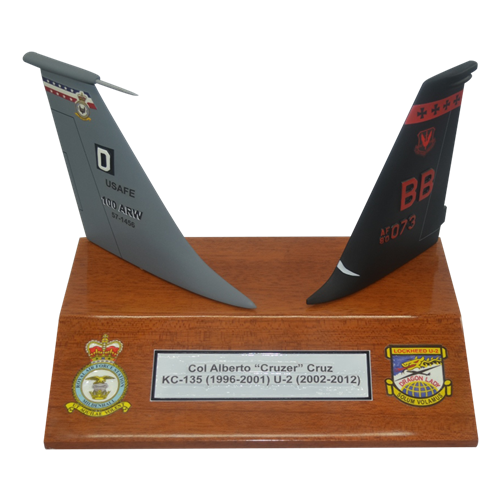 Your custom 2 desktop tail flashes plaque includes squadron markings, unique tail stripe, any tail number, and up to 3 lines of personalized text. 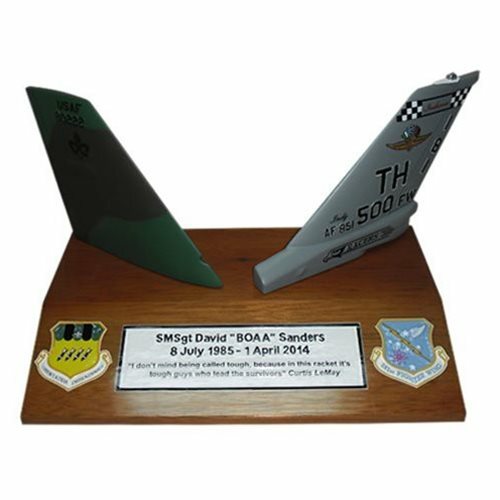 Once we receive your order, we will contact you to confirm the customization details. 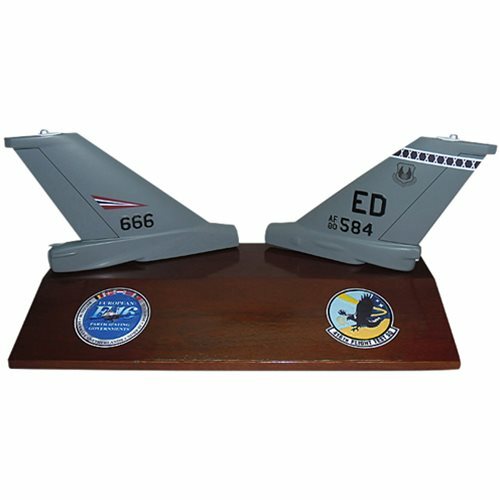 Once complete, we will email a digital photo of your custom 2 desktop tail flashes for your final approval prior to shipment.